From electronic and autonomous cars, to hyperloop solutions, the UAE (and the world) has put a heavy emphasis on public transport solutions and the future of mobility. In 2016, mandated by His Highness Sheikh Mohammed bin Rashid Al Maktoum, Vice-President and Prime Minister of the UAE and Ruler of Dubai, the Dubai Autonomous Transportation Strategy was launched with an aim to have “25% of all journeys in Dubai to be transformed into driverless journeys by 2030.” It is in line with the vision for the future of mobility that Abdelrahman Elgamal went about founding his startup, FriendyCar. Elgamal, who comes from a telecom, engineering and financial sector background, used to travel a lot in his previous job, and that’s when he noticed that while he was out and about and not using his car, his vehicle was still costing him a lot, be it with car loans, or insurance, or maintenance, or even paying someone to clean it. And thus, the eureka moment happened- he realized how he could capitalize better on his car by sharing it with other people, and that’s how Elgamal (who’s had previous forays into entrepreneurship) decided to launch FriendyCar. H.E. Dr. Mohammed Al Zarooni, Director General of the Dubai Airport Free Zone Authority (DAFZA), and Vice Chairman and CEO of DSOA, presenting the award to the winner, Abdelrahman Elgamal, founder of Friendycar. 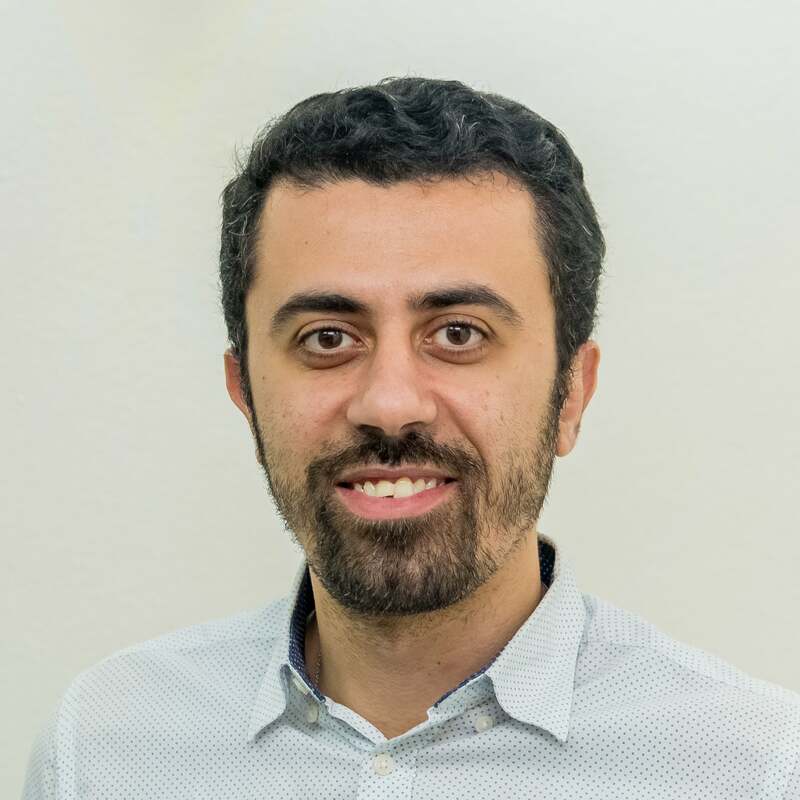 Elgamal sees the startup as one of the solutions to tackle transportation issues in the future, by changing how people own cars for personal use to a more efficient time-subscription model, where those requiring a vehicle can access any desired car whenever they need it, generate income from sharing his/her car, plus also support the community and the environment. As an example, Elgamal says, “[We see it as] where you will be offered insurance based on your usage. It’s not a one-size fits all insurance- now, if you’re a low-mileage driver, then we will offer you a low-mileage insurance, based on pay-as-you-go insurance.” Essentially, using FriendyCar will enable someone who doesn’t own a car with an affordable option to find and use a car of their choice whenever they have a need for it. Here’s how FriendyCar works: people start by listing their cars on the platform’s database. It then verifies and screens car owners, renters, as well as the cars themselves, and ensures insurance is covered as well for these vehicles. Elgamal asserts the community aspect of the platform, emphasizing how instead of renting, they call it borrowing. “It’s more intimate,” says Elgamal. “We are people dealing with each other. It’s not a financial transaction, it’s more [about] that we [are] helping each other by sharing our cars.” And it seems to resonate with people- though it only launched recently, as of October, Elgamal notes that they have more than 1,000 registrations, and around 100 cars listed on their network. They’ve gained recognition in the ecosystem too- Elgamal delivered digital trends and insights in the automotive industry at this year’s GITEX Technology Week, and the startup has won first place at the Smartpreneur Competition, organized by Dubai Chamber of Commerce and Smart Dubai Office at ArabNet Digital Summit 2017, winning AED75,000 in cash. At Dtec’s Entrepreneur Day, the startup was declared the winner of the pitch competition at the event, organized by Dubai Silicon Oasis Authority (DSOA). It won a prize worth over AED125,000, which includes AED36,000 in cash, company setup within Dtec, the use of an all-new Volkswagen Arteon for a year and free service license, as well as finance advisory sessions with The Scalable CFO, a network of consultants providing finance management and CFO services for SMEs. As for the future, Elgabal says they’re looking at partners to further grow and build up FriendyCar. The startup is eager to work with government bodies to help its offering get a wider reach, and at the same time, it is also raising funds for its seed round. In the midst of all that, Elgalmal is also hopeful that his platform will attract more users- and we at Entrepreneur wish him all the best in this endeavor! What are your top three tips to starting a business in the Middle East? 1. Product, product, product and user experience are all what matters. 2. Never stop raising money, you are raising money at all times, when you need and when you don’t need it, as it takes a long time. 3. Your team is your main asset, choose and retain people who have ownership towards their tasks. Even if they don’t have enough skills now, they will be learning them. Encourage speed and mistakes over perfection. OWNER Car owners will fill out descriptions of the car, upload pictures and choose when it’s available to be rented. Once a verified and screened borrower requests a car, the car owner will be notified to access the borrower’s profile and rating, before accepting or denying the request. You’ll then coordinate with the borrowers to meet up, wherein car owners will give them the car keys, and generate extra income. After they use the car, car owners will meet up with the borrower to pick up the car and rate the experience. BORROWER Interested borrowers can sign up, upload documents and wait for the FriendyCar team to verify their borrower’s account. Once approved, borrowers can enter which dates they’ll require a car and choose a car within FriendyCar’s database. Once a car has been requested, the borrower will wait for the car owner’s approval for request, coordinate to meet and pick up the car keys, and afterwards upon returning the car, rate the experience.